Every few months we feature one of the pioneers that make up the ThirdPath community. This month we are putting a spotlight on Ben Applegate – founding partner of Applegate & Thorne-Thomsen. Ben Applegate: “We founded our firm in 1998 after leaving a larger firm. It’s a boutique practice providing housing and community development work funded primarily through tax credits and the government. “Our mission statement has always been to be the best at what we do on a nationwide basis while balancing profitability and lifestyle for all of our employees. Anytime we bring someone into the firm we talk about our shared vision – to make a good living, but not necessarily the greatest of livings. That filter has served us very well. If we get a sense that someone who we are interviewing is only negotiating hard on salary, we know it’s not going to be a good fit. “When we started we had 4 lawyers, now we have 29 lawyers. I’m not sure if all of our success is do with our shared vision, or if it’s also to do with being a mission driven law firm doing community development work. But I do know that we never have to recruit, and we have a waiting list of people who are willing to abandon the “golden handcuffs” at their big firm positions to work with us. “At many big firms the target is now 2,000 billable hours in order for you to get your bonus, and you may not even get your base salary if you don’t hit that target. We have been able to build our firm on a 1700 target. It’s a good trade-off. The discount on their salary is made up with more time for life. “It doesn’t always work that way. We go through periods of ‘episodic overwork’ – when things pick up. But when this becomes ‘chronic overwork’ we know it’s time to go hire more people. “There have been times when someone bills over 2,000 hours, and what we do is counsel them to see how we can help them get their lives more in balance. Obviously this was the opposite kind of conversation they were having at the large law firms that they came from. “The benefits to our clients are clear. If you can operate within the 1700 billable hours model, that leaves capacity for the inevitable periods of episodic overwork, but you can meet these upticks in demands with greater efficiency and less burn out. If you are already at 2000 billable hours – if you are already running the factory at over capacity – then when you get another order in, something is going to break. Thank you Ben, Tony and Peter for leading the way to creating truly 21st century workplaces! Every few months we feature the pioneers that make up the ThirdPath community. This month we are putting a spotlight on a pretty amazing group of dads who do a “deep dive” into their strategies for managing work and family life. Listening to them we can see there is no one way to structure our lives. This is the new normal for fathers – one where they play an active role in balancing work and family responsibilities. It’s also the new normal for flexibility at our workplaces. Clearly, both dads (and moms and everyone else!) benefit from these changes. As a college professor, Scott Behson (and author of, The Working Dad’s Survival Guide), works remotely for more than half of his work hours. This allows him the flexibility to manage work and home, and to work around his wife’s career. She is an actress whose work schedule varies, including travel, evenings and weekend work. Scott and his wife discussed Shared Care before having children. Then, once their son was born, they were more easily able to create their shared solution. By doing this, Scott believes. both parents were able to pursue their ideal career goals without sacrificing their active involvement in their son’s life. Kevin O’Shea is now a lawyer who manages a demanding schedule at work. Over the past few years however, having a workplace that supported him to work flexibly so he could be home when his children got off the school bus, was very important to him as a single parent. To make up the hours, he worked weekends or at other times that worked around his children’s schedules. Prior to this, Kevin was a stay at home dad for 14 year. When he returned to work, his parents helped him make this change by providing some of the care. Today, his parents are a little older, and now Kevin is the one providing care for his parents. As we ended the call we asked two pioneering men who are working hard to make change in the wider-world to share their thoughts. 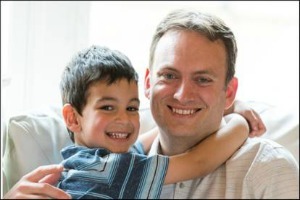 Doug French is the co-founder of Dad 2.0 Summit, an annual event where dad bloggers meet, learn together, and explore the commercial power of dads online. Doug is a single dad who talked about how he “can’t imagine life without extensive flexibility. My ex and I really share this flex together.” Simply put, Doug finds that flexibility makes lives better, and when employers get this we will all be in a better place. Brad Harrington, Executive Director of the Boston College Center for Work & Family (CWF) then wrapped up the call by sharing a few summary points. When doing this, Brad underscored how there is no one size fits all solution for managing work and family – instead dads (like moms) are finding a wide range of creative solutions. Whether it’s Shared Care, being the primary parent, or pushing back at a “work first” work culture, there are many new options for dads and moms. Next we need to change public policy to catch up with this dynamic new landscape. Every few months we feature one of the pioneers that make up the ThirdPath community . . .
Andrea Knowles was clear early on that she wanted to live a life that included time for both work and family. To accomplish this, fresh out of law school, she began taking the steps she believed would most likely help her achieve this goal. Andrea began her journey by securing a position at a large law firm. While there, her goals were to work hard, gain experience and respect, and to save as much money as possible so she would have more financial freedom later on. Unlike some of the other newly hired lawyers at the firm, Andrea lived well below what she earned as an attorney and put all her extra savings towards paying off her student loan. Once debt free, she then kept up this modest lifestyle in order to build a nest egg that would fund a year off and let her travel and see the world. After working long hours at the large firm, she needed this time to relax and breath. She also knew taking this time would play a crucial role in her ability to search for the ideal firm that would support her longer term goals. During her year off Andrea traveled and spent time with friends and family. She even met her future husband. After about 6 months, she began looking for a new place to work. While being interviewed at each law firm she was very open about wanting an integrated life, and she looked for firms where people were already living this way. Did people have children? Was life outside of work important to them? Could people work reduced hours? To really understand the culture of the firm, she also looked very carefully at the leaders. Were some of them role models for the type of life she was looking for? Ultimately, she turned down opportunities where an integrated approach was not encouraged or otherwise feasible, and eventually she found her current firm – a litigation boutique that felt very aligned with her vision. When she began working at her new firm, Andrea worked full time. She also got engaged, married, and then began looking for a house with her husband. While doing this she saw it as another opportunity to think ahead about their future goals. For example, she advocated for a house that would support a short commute. She also knew the importance of finding an affordable house so they could cover other important expenses like the cost of day care and her goal to work reduced hours when they started a family. Soon after this was all put in place, they got pregnant. In fact, they learned they were going to have two children not just one! After the birth of the twins, Andrea began experimenting with working flexibly and reduced hours. The benefits of a reduced schedule allowed Andrea to take off most Fridays for almost 2 years. She then had a year where one of her twins required numerous doctor’s appointments, so instead of taking Fridays off, she used the company’s flexibility to work half days to attend the appointments. When the twins were in preschool, she continued with an 80% schedule and flexed her hours for different family responsibilities, including helping out at their children’s co-operative pre-school. When the twins entered first grade, Andrea went back to full time hours, though she continues to flex her hours as needed for family responsibilities. Andrea’s determination to live out her dream of having an integrated work life informed her decisions early on. She made financial decisions that allowed her to live debt free and save up the funds necessary to hunt for a firm that embodied her vision of work life balance. Many of her fellow employees and leaders have families and work flexibly themselves. She also sought out a life partner whose goals for work and family were similar. And she took time to interview prospective employers until she found a good fit. What are your goals for an integrated work life? What steps have you taken, or do you need to take, in order to get closer to your dreams? Listen to our full interview with Andrea and be inspired by a story that will help you think about how all the different pieces – work, money, partner and family – can fit together to support an integrated whole. For many jobs today, work can be done very differently, sometimes even completely virtually. On one of our previous Thursdays with ThirdPath webinars, we discussed these ideas with Kyra Cavanaugh, author of the book, Who Works Where and Who Cares? We also invited two leaders who manage virtual work teams to share what’s made their teams so successful. One of these leaders was Chris Madoo. When Chris participated in the webinar, he was managing a 15-person remote work team that also happened to be the top sales producer at Marriott for 3 years in a row. When Chris shared his story he also talked about how he used a number of the flexibility tools Kyra outlines in her book. Click the SoundCloud icon to listen to this inspiring conversation. Since this webinar, Chris has been promoted, but he continues to manage his new team virtually. We’re also proud to have Chris as a member of ThirdPath’s Pioneering Leader group, and on one of our recent calls, it was fun to hear how Chris is still using these important flexibility tools today. Tool #1: Define performance objectives. Kyra underscores, this is not just an important tool to use for flexible work teams – but for every work team. As Marketing and Sales Leader at Marriott, Chris learned that successfully managing a virtual work team can come with a few curve balls, but through prioritization, communication, and trust he was able to build on his team’s success. It also helped that Marriott clearly defined performance standards. Productivity goals were carefully defined as a way to promote key priorities and related behaviors. Activity logs and weekly updates also kept the team on track to help drive results. Tool #2: Capacity and resilience. Kyra explains, managing the long-term resilience of a work team doesn’t just benefit the individual team member it also benefits the organization. Chris has become an expert in understanding how much work each of his team members can handle while also supporting them to have time and energy for their lives outside of work. Chris learned this requires open and honest communication and feedback. It also meant getting to know, and supporting the different ways his team members needed to work. Some were parents and their schedules varied around their children’s school day. Others tended to work a more traditional 9 to 5 schedule. Taking into account his team’s different work schedules, as well as his own preferences, Chris made himself available for both types of worker, or let them know who they could be in touch with when he was away from work. Over time, he even learned that he could match team members who needed extra support with others who were experts in integrating work and life responsibilities. This way they could learn from each other. Tool #5: Communication. No surprise, the key to all of this is good communication. Chris knew the glue that held everything together was good communication. Not only did his employees have to communicate their capacity and work preferences, they also had to communicate what they wanted to make time for in their lives outside of work. Chris also communicated what was going on in his life, especially if it was going to impact his availability. In fact, if there were life issues that would impact their ability to complete a task on time, all of them were responsible for communicating that to the rest of the team. What he noticed from all of this, is that it helped everyone build up a strong rapport with one another, which also helped them hold each other accountable for the work they were doing. Our discussion with Chris and Kyra helps underscore how flexibility will look different in every organization, and how support from upper management will always make it easier. When Marriott made the shift to a flexible workplace for departments like marketing and sales, the organization had to learn what it meant to manage remote staff. Chris learned that flexibility requires more trust and greater transparency. Marriott helped by clearly defining expectations. Employees did their part by clearly defining their work capacities and obligations outside of work. Together – individuals, teams, managers and senior leadership – we’re able to optimize a new way of working that benefited everyone, including the bottom line! Thank you Chris and Kyra for leading the way to creating truly 21st century workplaces! Want to learn more? Check out the “integrated leadership” section of our website – discover how men and women are advancing in their careers while also creating plenty of time for their lives outside of work. Eric and Ana Lisa are leaders and role models in the nonprofit world who prove you can be committed to the mission of your organization and have time and energy for your life outside of work. In fact, by prioritizing what was important to them outside of work, they learned how to become more effective at work – and even build better organizations. Sometimes it takes an important conversation or an urgent need from a family member to recognize that work can be done differently. In fact, it was just these types of situations that allowed both Eric and Ana Lisa to make the changes required to find a more satisfying and “integrated” approach to work and life. Eric began his career as a community organizer. Doing this type of job required a lot of evenings and weekend work. But when he and his wife began thinking about their family goals, he knew this would need to change. After talking with his wife, Eric began looking for work that would allow him a 4-day workweek, where he could also work the majority of time from home. By doing this, Eric knew he would have a work schedule that allowed him to have days where he would be the primary caretaker–something he truly desired. Ultimately Eric found a leadership position in an organization that was willing to meet his family’s needs. There were trade-offs, working 80 percent time also meant a 20 percent pay cut, but he knew this was the right decision. 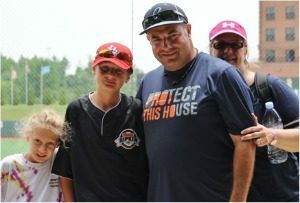 With his parents and brother close by to support him and his wife as they became new parents, Eric was able to enjoy fatherhood on his own terms. Ana Lisa was a self-described workaholic when she was a mid-level leader at a domestic violence organization. 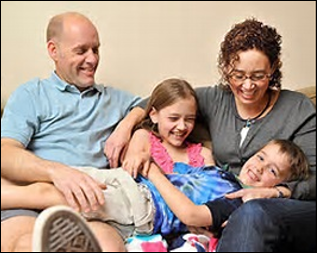 Then a family medical health crisis suddenly demanded the family’s time and attention. For the next six months, either Ana Lisa or her husband were required to be at the hospital every day. Ana Lisa experienced this crisis as a wakeup call to modify her working habits. No more working evenings and weekends. Instead, Ana Lisa learned how to delegate more. She also discovered her coworkers liked the change since it meant no more 2am emails. Ana Lisa is now very clear how modeling a balanced life gives her team permission to do the same. Since then Ana Lisa changed jobs, and in the process, negotiated a 4-day work week. Her new job was with a foundation that supports regional non-profits by funding leadership development and internal infrastructure. She also participates in an intergenerational working group rethinking leadership across generations. The topic of work life balance is a popular one in the group. Many of the younger employees see leaders who have had their lives consumed by work and don’t want to do the same. Together, they now discuss how leadership can be done in new ways. Eric and Ana Lisa both see a growing number of skilled employees who want the same kind of flexibility as they did. Eric has also experienced being able to afford to hire excellent talent at 80% of the cost – people they couldn’t afford at 100% cost. They also see how these types of arrangements create a lot of loyalty amongst employees and employers, and even a competitive advantage for nonprofits who make this kind of culture change. During our conversation with Eric and Ana Lisa, they were very open about the challenges of working in the nonprofit sector — lots of work, limited funding, and the lingering belief that true commitment to an organization’s mission requires a willingness to work yourself to the bone. Yet, their personal experiences have helped them see there really is a better way. In fact, with role models like Eric and Ana Lisa, we are confident more will follow in their footsteps. Listen to the full interview with Eric and Ana Lisa to be inspired by their stories. Or check out the many resources we have on our website for leaders who want to design an integrated approach to work and life. This month we are putting a spotlight on two Shared Care couples who explore why sharing in the joys and challenges of earning an income and caring for their families has positively impacted their lives as individuals and as a couple. Read on to learn about these pioneering couples, or click the SoundCloud icon at the end to listen to them share their inspiring stories. Roger and his wife are both engineers. When their son was born, they both decided to work reduced hours so they could share in the care of their new baby. To begin with – even though they both worked for the same employer and had the same benefits – Roger’s wife assumed she would be the one who worked reduced hours. It was actually Roger who suggested they both could work part time. Now both parents have regular “alone” time with their child. Roger can see how this has helped the couple build a high level of trust. Both parents feel comfortable in the other’s ability to take on any responsibility in their absence. This feeling of trust has also helped the couple feel closer in their relationship. Doug and Maggie have shared in the care of their son since he was born – now he’s in high school! They also both run their own businesses and work from home offices. 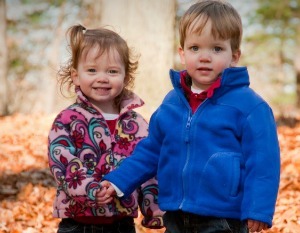 For Doug and Maggie, time spent together as a family has always been a top priority. They have also always been very intentional to create this time together. Although the reasons may have changed over the years, like the recent celebration with their son when he got his drivers permit, the priority of creating family time hasn’t changed. The couple says the key to their success has been their ability to work together as a team and to set boundaries around the time they spend working. Working as a “team at home” has also left the couple with a sense of balance that no one person is doing more than the other, and as a result, the couple feels “friendlier towards each other”. These feelings of friendliness have allowed the couple to easily adjust to changing circumstances. 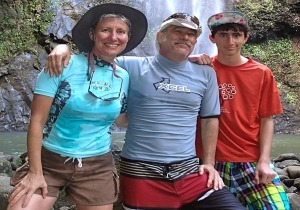 When their son started high school, the family’s day suddenly began two hours earlier. Without missing a beat, the couple made the commitment to get up together and have breakfast, and then see their son off to school. They also discovered the new arrangement allowed time for a workout in the morning. Shared Care becomes a powerful way to role model how both men and women can do things differently – at work and at home! In each story, the couples found a unique solution that met their family, work and individual needs. Through communication and teamwork, these families created work/family solutions that were able to continue to evolve with their changing lives. They also discovered, by sharing their involvement with both work and family, they were able to further solidify the levels of trust, support and love in their relationships. To learn more about Roger, Doug and Maggie, listen to the recording of our Thursdays with ThirdPath webinar by clicking the SoundCloud link at the end of this post. The recording also includes the stories of a few additional couples, including the authors of two Shared Care books, Lisa Levy (The Libra Solution) and Marc Vachon (Equally Shared Parenting). This month we are putting a spotlight on Jennifer Johnson, co-founder of Current Designs, and Ken Stern, founding partner of Stern & Curray. Progressive employers have learned a commitment to a flexible workplace is key to finding and keeping excellent workers. They’ve also learned when employees have time and energy to live full lives, it improves the work they do. Jennifer Johnson, co-founder of Current Designs, and Ken Stern, founding partner of Stern & Curray, are both leaders who have put these ideas into practice. Not surprisingly, both of these leaders started off by wanting balance in their own lives. Today they have created unique organizations that support everyone to flex work in ways that are good for the business and good for employees. Read on to learn about these pioneering, or click the SoundCloud icon at the end to listen to them share their inspiring stories. Ken started off his career in litigation in a firm that offered very little time for life outside of work. When Ken had children, he wanted to create a more balanced life that would include time for family and other life interests. To do this, Ken decided to launch his own firm built around his work/life balance philosophies. But to do this well, Ken was also quick to learn that different jobs required different types of flexibility. For example, although his administrative staff couldn’t work remotely, he was happy to have them flex in other ways. In contrast, the paralegals have a lot of flexibility around when and where they work, so long as they get their expected hours completed within the 2 week pay period. He also encourages everyone to turn off work while on vacation, which came as a big surprise to a lawyer who had spent her career working in a less supportive workplace. Ken could see how all of this fostered a team approach where people where happy to cover for each other as needed. They even learned the value of creating quiet focused work time for people working in the office, and they implemented a red/green flag system to signal when it was OK, or not OK, to be interrupted. When Jennifer and her husband were raising their children, not only did they share in the care of their twin boys, they also launched a new business developing highly detailed optical research instruments. Fast-forward a few years, the couple decided to expand the business, move it outside their home and hire more people. While doing this they learned they still needed flexibility themselves, but they also learned their employees and business benefited from flexibility as well. For instance, Jennifer was quick to realize hiring very creative people (artist and musicians), meant she also would be able to count on having employees who excelled at the extremely detailed work that was required. And by offering these artists a 4-day schedule with full benefits, the employees could then use the other 3 days to work on their own creative pursuits. This is a critical way Jennifer has been able to create an enjoyable work environment that fosters openness, flexibility and high quality work. Jennifer notes the low-stress workplace also translates to improved customer service. 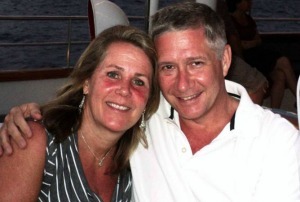 In short, Ken and Jennifer both talked about enjoying a full life with diverse interests. Ken summarized it this way, “work is important, it needs to be done well and in service to the client, it also needs to be profitable, but it doesn’t need to be done at the expense of everything else in life.” Today, Jennifer and Ken are understandably proud to be able to offer the opportunities they wanted for themselves to their employees. Every few months we feature the pioneers who are part of the ThirdPath community. Using our time, not just for both productive work, but also for enjoyment in life, is pivotal if we want to improve our overall quality of life. 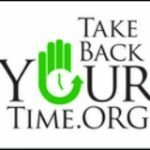 He joined one of our Thursday webinars to talk about the work he does and the organization he founded – Take Back Your Time. John’s organization is dedicated to redefining the cultural perceptions of how we utilize our time. Although this type of work can be done on the personal and organizational level, John has a long and impressive history of fighting for public policy change. John started the call by describing his work fighting for paid parental leave, sick leave, and vacation time. As he pointed out, without the opportunity for vacations, the likelihood of heart attacks and depression increases for both men and women. And when workers can’t afford to take time off, including to care for their own health, research shows they come to work sick, stay sick longer, and spread illness to coworkers. John went on to describe some of the important work he’s done around mandatory paid vacation time. John even drafted and proposed a paid vacation act, which would offer 1 to 2 weeks of guaranteed paid vacation time depending on the size of the organization. Though the US is one of only five countries not offering paid vacation time, many were still rigorously against this proposed bill. What can we learn from success stories? During our conversation, John provided a perfect example of people embodying the “whole life” mentality John believes in. In Bhutan, a small country settled into the hills of the Himalayas, instead of just prioritizing the importance of gross national product, this small progressive county has been focusing on increasing gross national happiness. In service of this goal, Bhutan has created an index for looking at 9 dimensions of life that lead to sustainable happiness, one of which is time balance. John then provided a number of inspiring details of how he ended up working with the people of Bhutan as they drafted a proposal on a happiness index for the UN. John also shared a powerful story about the Kellogg corporation. In 1930, Kellogg allowed one location of its workers to change to 6-hours shifts, 5 days a week. Within two years of this shift, the company discovered it produced the same amount of cereal in the 6 hour shifts, as it had during the 8 hour shifts. However, in 1985, because of the high cost of benefits, these workers were forced to return to an 8-hour workday. Around this time, John interviewed a number of the men and women who had been working the shorter schedules to better understand how it had impacted their lives. No surprise, he discovered the shorter work day brought many benefits, including extra time for divvying up housework, enjoying hobbies, and volunteering. Clearly our conversation with John underscores how supporting people to have time and energy for their lives outside of work leads to happier and healthier individuals and communities. Keep up the great work John! And thank you, for being such a long-term advocate for this important cause! This month we are putting a spotlight on the authors of the book, Equally Shared Parenting. Read on to learn how the Vachons created a life that supported equal investment in every aspect of their lives – work, family, and personal interest. Marc had always pushed against societal norms that demanded long work hours and the expectation that men should be the primary breadwinner for their families. 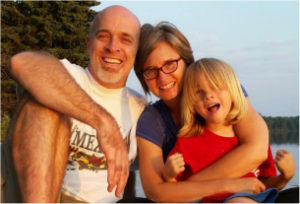 Amy – a strong advocate for gender equity – knew she wanted a partner who would share family responsibilities. Together, they knew an important ingredient for crafting this “whole life” was sharing in the work – and the joys – of caring for their family. 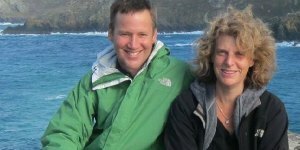 Marc and Amy described how they began their equally shared lifestyle, and how they continue it today with school-aged children and increasing responsibilities at work. We then asked B. Hibbs, who also participated in the call, how she would describe Marc and Amy’s lives. We think she hit the nail on the head when she said they had a true spirit of generosity and a collaborative model where everyone feels satisfied, and each has honestly and openly communicated their wants. B. should know, she is a therapist and author of Try to See It My Way: Being Fair in Love and Marriage. Listening to Amy and Mark you can quickly see how sharing home responsibilities helps create a better way for each parent to manage their overall workloads. Marc, like Amy, had negotiated with his employer to cut back his work hours. He also described a point in time when a more collaborative approach at work made a difference. A while ago he was feeling overwhelmed with the amount of work he was managing. He knew there had to be a better way – one that included more planning and less fire-fighting. Talking with his boss, Marc made a number of suggestions, ideas that would help him and his other team members step back and think smarter about their collective approach. In hindsight, Marc can see he was motivated to have this conversation with his boss because he knew that the overwhelm was negatively impacting his ability to achieve his family’s equally shared parenting goals. Marc and Amy’s story helps illustrate how healthy boundaries are good for employees and good for employers. Through trial and error both Marc and Amy were able to determined what needed to be prioritized at work, and think ahead more as they planned for the long term – both at work and at home. 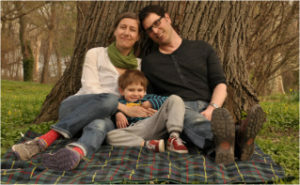 Marc and Amy show us how it’s possible to create a family life where both parents can be supported to live whole lives. One that creates space for equal investment in work, family and personal interests. They would also argue that clear communication, boundary setting, and out of the box thinking were the keys to their success. This month we are putting a spotlight on Julie Levine. 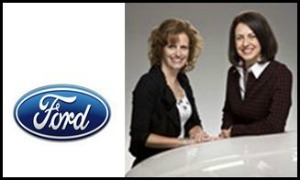 She and her colleague at work, Julie Rocco, have successfully job shared a management position at Ford Motor Company for more than 5 years. Read on to learn about these pioneering, or click the SoundCloud icon at the end to listen to them share their inspiring story. Job sharing a program manager position with Julie Rocco, Julie Levine soon discovered how “fully integrated” they had become – sometimes even asking the same questions at the exact same time. In fact, the trust that has built up over the years leaves both parties with complete faith they will be well represented by the other during their absence. It has also provided the ease of mind the “two Julies” needed to be able to spend time with their families. This collaborative partnership, Julie jokes, has almost been like a “marriage” at work. She also underscores how it did not come about by just placing two people in a job share arrangement. There were numerous factors that played into its success, the most critical being the selection of the right people to create the job share. Julie talks about how she and Rocco went on a “blind date” to figure out whether or not they would be compatible. During this “date” they both took time to assess whether they shared a similar sense of responsibility for getting the work done as well as attention to detail, energy levels and integrity. After finding each other, the next critical step was pitching the business case for moving ahead. They needed to show the company that “the sum of two Julies…” was really better than “…two Julies alone.” Julie describes how both of them having strong reputations within the organization helped make their case. But they also began to quickly see how their job sharing arrangement brought many advantages to their organization. For example, having the network and experience of two people on any one task or problem offered a significant benefit to their employer; playing into the old cliché – two heads are better than one. Julie also talks about how refreshed she would be from her time away from work. Even vacations played out differently. When one of them took a vacation, the other was still available to work at half time, so projects were able to continue to move forward. At one point, they were even able to turn a maternity leave into an opportunity to have a junior employ gain exposure to a higher level position. The employee was even promoted after the leave was up! While the benefits to the company were plentiful, the advantages to Julie and her family were immeasurable. Julie cites many tangible things such as being able to volunteer at her children’s school as well as have time for exercise and other activities. She also talks about some of the more intangible benefits such as having her children grow up in an environment where they see that Mommy’s career is just as important as Daddy’s; and that balancing work and family is possible. · Being seamless: never having to ‘burden’ your fellow employees (i.e. by having them repeat information twice). It doesn’t matter which person you talk to, both would always be up-to-date on any and all matters. · Being completely consistent: making sure that directions, and answers to questions, are handled in a similar manner. · Being fully committed: committing to the necessary time and effort to ensure their success, such as the update process they use four times a week to be bring each other up to speed on what happened that day. · Sharing the entire job – not just splitting tasks: This is critical for both being seamless and consistent, as both parties are then aware of everything relevant to their job. Julie’s story is another great example of how we can “redesign leadership” in a way where everyone benefits – the leader, the leader’s family as well as the organization. To listen to more of Julie Levine’s story, click the SoundCloud link below.